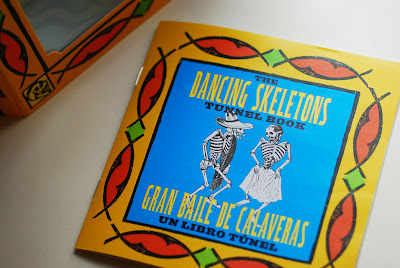 The Dancing Skeletons Tunnel Book or Gran Baile de Calaveras un Libro Túnel is a wonderful trade edition of José Posada's lively skeletons which have come to symbolize the modern Day of the Dead or Dia de los Muertos holiday celebrations beginning each November 1st. Published by Tunnel Vision Books, it is based upon a popular Victorian era paper theater book structure that engages the viewer by creating a peepshow effect. Each "page" with different characters and scenery is typically attached to an accordion wall on each side, allowing the structure to expand or contract. 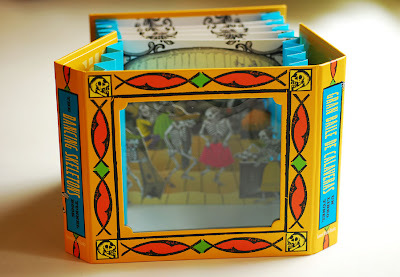 When viewed through the front window or hole of the book structure, a layered stage set with depth is created and a story can be told simply with images. The Dancing Skeletons of José Posada (1851-1913) make me happy. 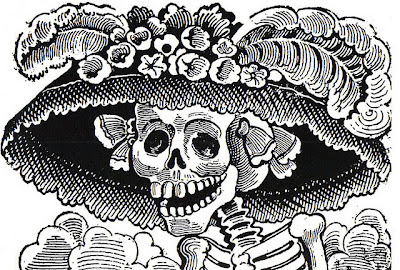 Partly because the traditional Mexican holiday of Day of the Dead falls on my birthday—but also because I'm pleased to share this festive holiday honoring the lives of the people we have most loved and lost, as it is such a worthy and noble celebration. 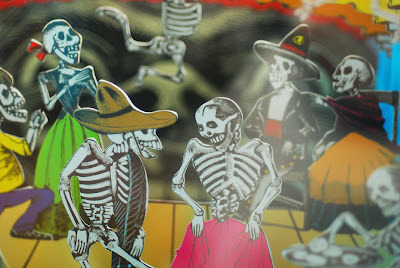 This holiday tradition commonly celebrated throughout Mexico and Latin America can be traced to pagan rituals. 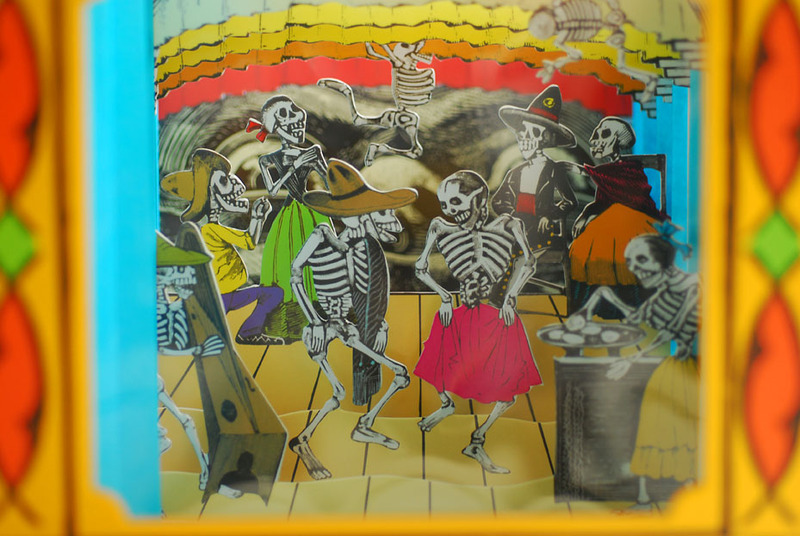 Today it is celebrated in many cultures around the world as a day of reunion for the living and the dead, when spirits are welcomed back with offerings of food, drink, music and flowers. It ends on the following day when the spirits depart after joining in a family meal. 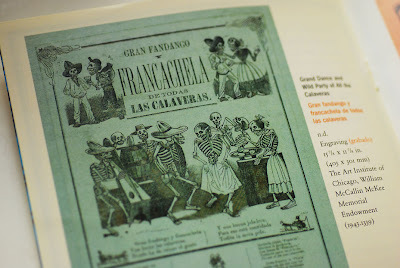 Posada, who was a very prolific artist and printer in Mexico, was best known for these skeletons and skulls (known as calaveras) although they were just a small segment of his range of work. His comical characters were often dressed in colorful costume and parodied the lives of the living; often taking on the leading political and social issues of the day. Since his death, his sentimental calaveras have become the single most recognizable symbol commemorating Mexico's Day of the Dead. 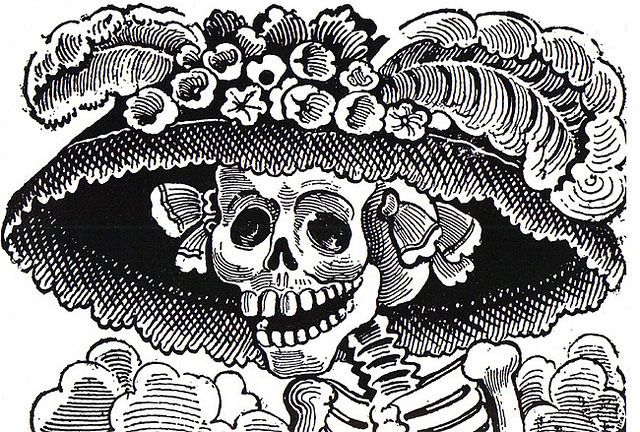 His iconic "La Calavera Catrina", mostly identified with the holiday, was intended to mock the rich in their expensive clothes, but reminding all they would soon turn to dust just like the rest of the huddled masses. 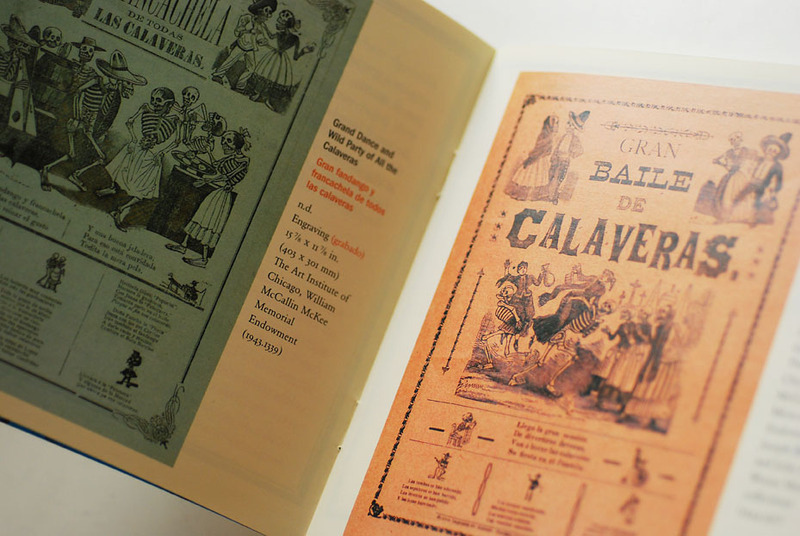 Posada's talents were many; he was a job printer, engraver, illustrator and a graphic designer, and left a body of work numbering at least 1600 printed images. Deborah Wye, who wrote in her book, Artists and Prints: Masterworks from The Museum of Modern Art, claims that some followers believe "he made as many as 20,000 prints during the course of his career". Tunnel books have a very long and distinguished history. Early and less sophisticated versions with interchangeable fitting panels often required a lot of assembly. Book artist Ed Hutchins, does a great job documenting more of their history at his site Artist Books, but in short, the basic concertina structure that followed has actually been modified little over the last 200 years. Many of the earliest tunnel books were designed as childrens' toys or to commemorate historically significant events and places. 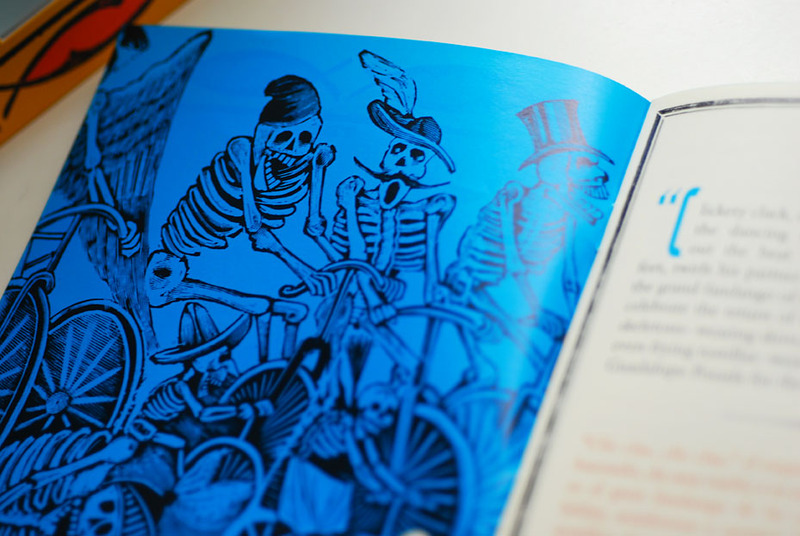 Contemporary trade editions of tunnel books are relatively rare, but can be considered collectible. 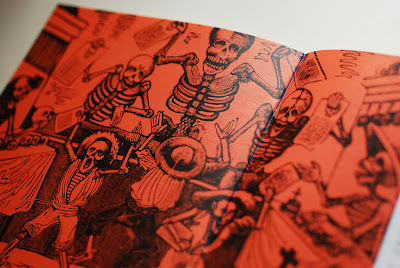 In 1984, Magic Windows had published some 10 panel books which were illustrated by prominent artists such as Edward Gorey. These each included text and had a magnifying lens in the window. Tunnel Vision Books 2006 trade edition of The Dancing Skeletons is still in print. 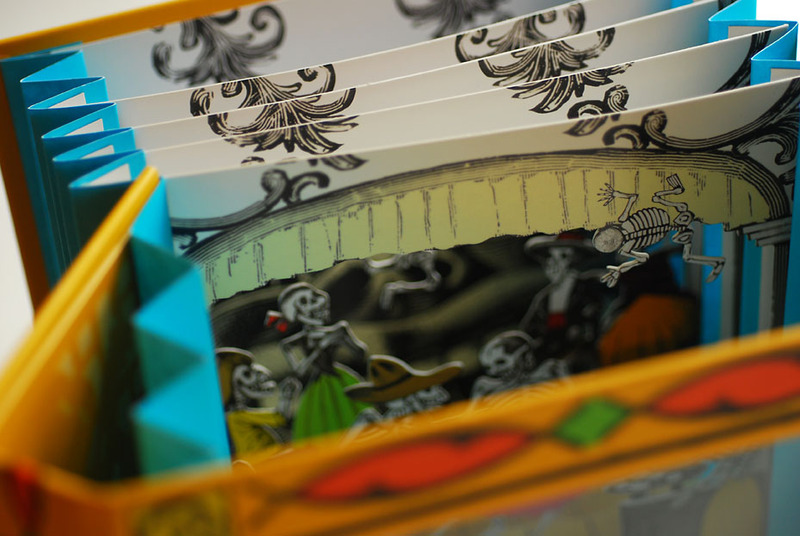 Take a peek here for an interactive view of the booklet which accompanies the tunnel book.